The Quick Shelf Safe with RFID locking system is the safest place to hide and secure weapons, money, jewelry, etc. 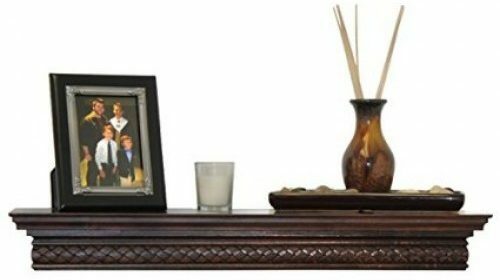 It looks just like an ordinary shelf so it blends in on any wall, effectively hiding your valuables in plain sight and adding just a touch of decoration. There are no numbers to memorize (which are easily forgotten in a panic situation) or buttons to push. You simply place the included RFID card, key fob, or token on the top of the “shelf” and, like magic, it instantly opens. Blends In Anywhere: With the look of a normal shelf, it’s great for home, office or business. RFID Technology: Using the included 4 RFID keys it’s easy and quick to access the hidden compartment. Can support up to 16 RFID keys.